I may not be on the frontlines, side-by-side the Red fighters, but I can feel their loss ten thousand miles away. Guiller… JP… I felt your deaths this past September. I did not know you, but I know we took the same oath—to arduously serve the people, even if it meant offering our lives. I know you were my age and chose to forgo bourgeois education to take up arms in the countryside. When your stories traveled to your overseas kababayan, we mourned you—we still mourn you. Kamil and Jo—Our hearts were still bruised once we learned of your sacrifices. Women youth, carrying on the revolutionary tradition of our foremother, Lorena Barros. Small but militant women. You were not allowed to die peacefully. Pictures of your corpses were spread and mocked. We could not share stories or pictures, or else the government will target those mourning you. But collectively, behind closed doors, we cried and honored your memories. 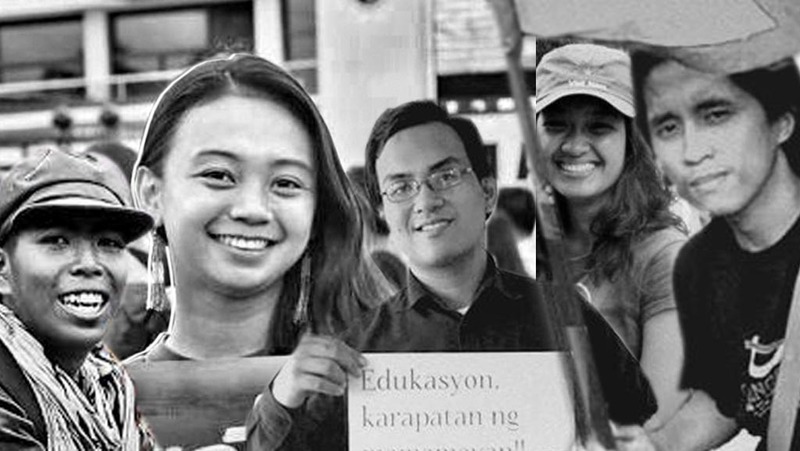 Guiller, JP, Kamil, Jo, and Geary—We sang “Anak ng Bayan” for you. We wrote and performed poems and songs for you. You were not terrorists. You are our martyrs. I did not fight by your side, but we are all part of the same fight for liberation for our people. I did not watch when the cowardly state took your lives, but your memories will never rest easy on my heart, for your sacrifices will always be heavier than a mountain. We know the struggle’s always worth it.